Friendly staff, great food, big roomms, safe interior parking, nice garden and ideal for family with kids. See you again next year! Nice and quiet away from the main town. Very clean. Satellite TV. Good private parking. We stayed for a few days in late June 2018. We received a warm welcome from our hosts who looked after us very well throughout our stay. The food in the restaurant was excellent. Very clean comfy apartment with restaurants and bars literally on your doorstep. 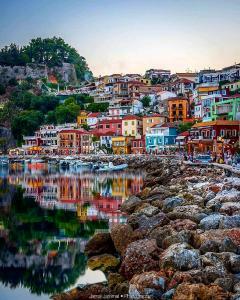 A short car ride from the main resort of Parga or a lovely 30 min walk with some stunning views. Oasis exclusive is an exceptional property run very efficiently by wonderful people. Vagelis Evi and their family couldn’t do enough to help. The food at the restaurant is very good also. I hope to return some day we had a great time. To begin with, I would like to stress upon the fact that my overall impression is superb. We were really pleased with the excellent level of cleanliness which was maintained throughout our entire stay. The selection of furniture was also tailored to the needs of the guests, as the bed was very comfortable thus creating a prerequisite for a deep and relaxing sleep. My husband and I found it a pleasure to communicate with the staff, who were all very friendly, polite and always ready to take care of our requests. The cuisine was wonderful and we enjoyed delicious meals. I am very impressed with everything and would honestly recommend it to anyone who wishes to visit. The host is extremely nice and polite he does everything possible to make sure his guests have a comfortable stay. The hotel is located very close to the main town. Everything was perfect! 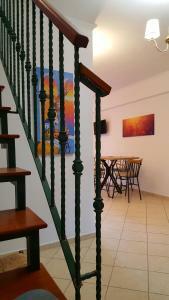 Quiet and large parking lot, new, comfortable penthouse, lovely staff and delicious food! Thank you! See you again! Beautiful location, friendly owner, the restaurant has good food, the rooms are very clean. It was a perfect accommodation for a group of friends. The room was totally newly built and the garden very mature and relaxing to be around. The location is excellent as it has a wonderfull view of a glorious green mountain with a castle on the top. Lock in a great price for Oasis Exclusive – rated 9.4 by recent guests! 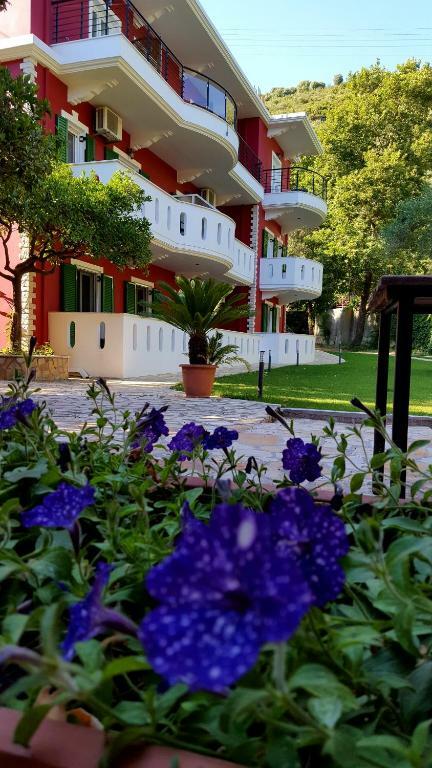 This quietly located pension in the center of Anthousa, offers a scenic courtyard, free WiFi, and relaxing views of the castle of Anthousa. Guests benefit from free private parking space. The family-run Oasis Exclusive has spacious apartments with bright décor, TV and a modern bathroom. Each has a spacious balcony and fully equipped kitchen. The Oasis Traditional Restaurant serves Greek food and local spirits. Traditional cafés, taverns, bakeries and mini markets can be found within 150 feet from the Pension Oasis. The center of Parga is 1.6 mi away. When would you like to stay at Oasis Exclusive? 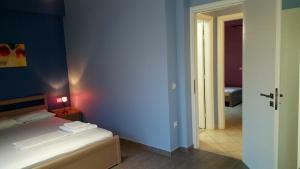 Spacious apartment with bright decor, air conditioning and modern bathroom. 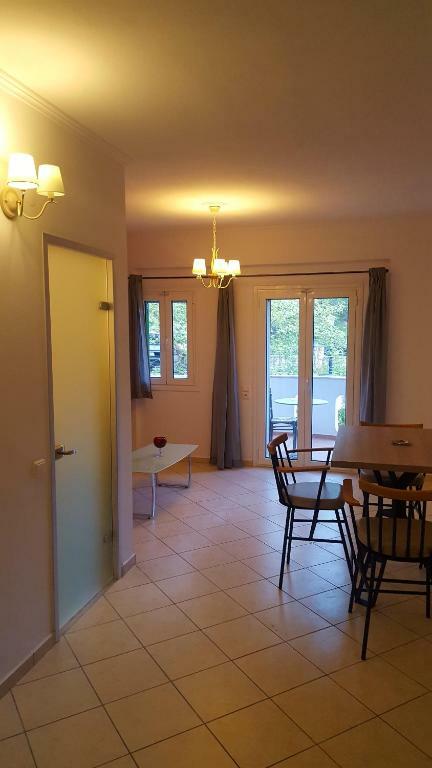 Spacious apartment with functional kitchen, air conditioning and modern bathroom. Split-level unit, fitted with air conditioning, TV, a fully equipped kitchen and a private balcony. It also features a seating area and a dining area. Located on the ground floor, this apartment has a balcony, seating area and kitchenette. 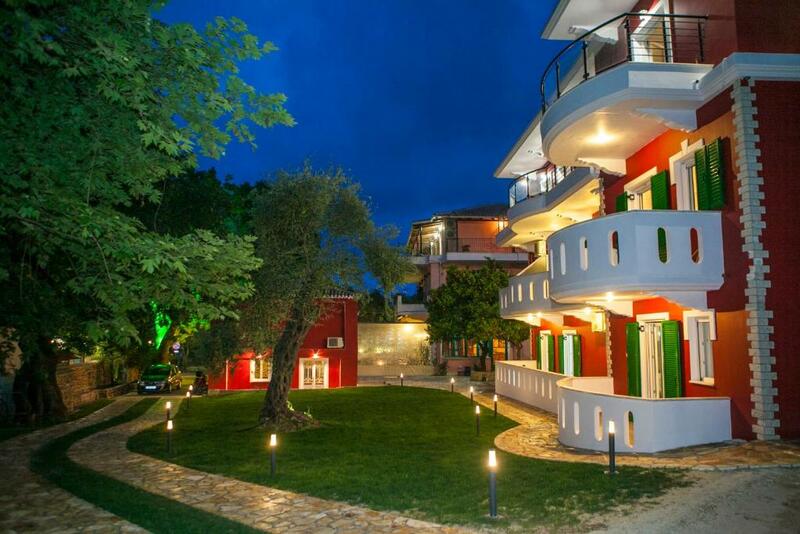 Oasis Apartements is a family business in the centre of Anthousa, 2.5 km from Parga. The buildings are new and full equipped with A/C, private bathroom, kitchen, WiFi, TV, fridge and balcony. Parking is free of charge for all our visitors. Oasis Restaurant is traditional tavern with local dishes that will excite you! Within 50 metres of our unit you will find anything you need, bakery, butcher, grocery, pharmacy, mini markets, taverns and coffee shops. House Rules Oasis Exclusive takes special requests – add in the next step! Oasis Exclusive accepts these cards and reserves the right to temporarily hold an amount prior to arrival. There was a bit of an odor in the room possibly coming from the kitchen sink next to the bed. very nice accomodation. 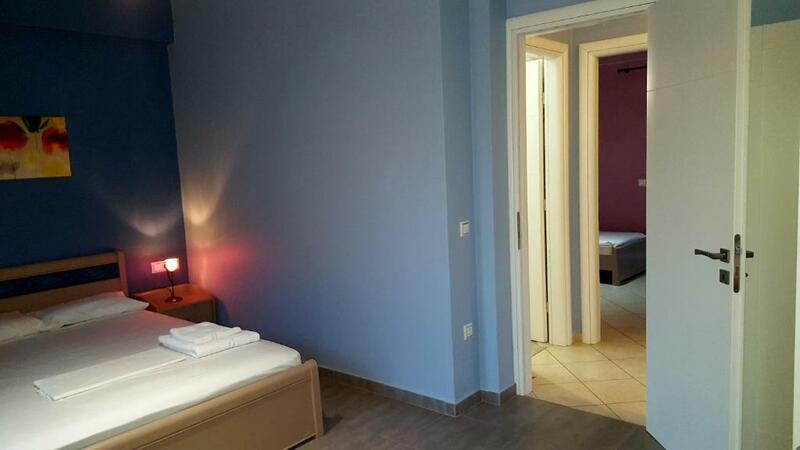 big modern studio with big bathroom and comfortable bed. with nice friendly people who working there. good wifi, parking and quite good restaurant with very nice breakfast. Not far from Praga if you are with car of course. Cute village with nice views, a lot of bars and restaurants.